J.C. as he appears in DanceDanceRevolution EXTREME2. 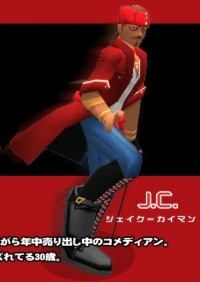 J.C. replaces IZAM since his final appearance in DanceDanceRevolution Party Collection. This page was last edited on 5 October 2015, at 16:52.